​Nike caused a frenzy in the sports world yesterday when they celebrated the 30th anniversary of the "Just Do It" campaign. The ad's feature athlete? None other than Colin Kaepernick. 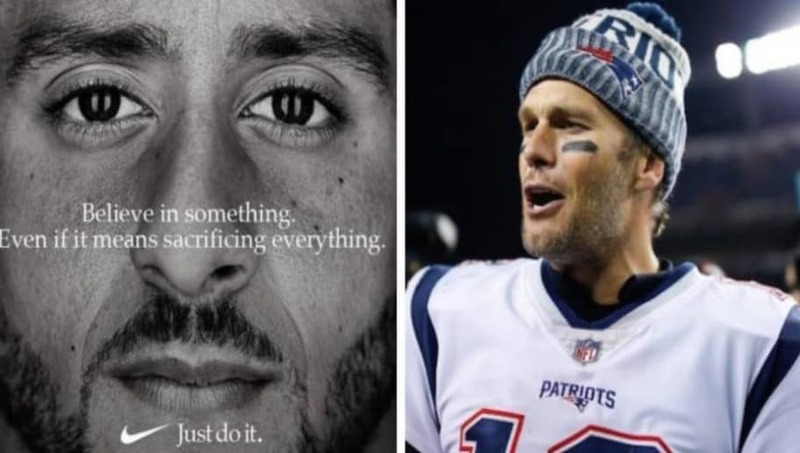 One NFL star immediately approved of the message Nike and Kaepernick were putting across: ​Tom Brady. That's pretty cool of Tom. He liked GQ's Instagram post of the news. Much has been made recently of Brady's friendship with President Donald Trump, who has voiced his displeasure with the anthem protests numerous times since taking office. Well, Brady has been distancing himself from Trump lately. Just two months ago, he told Oprah that he has respect for the players who kneel during the anthem. He also said that it promoted "a lot of good, healthy conversations in our locker room." That doesn't sound like something a "close friend and supporter of Donald Trump" would say. ​Brady clearly doesn't like the fact that Trump is getting so involved in the NFL. His recent comments on the protesters and his like of Kapernick's message could be seen as acts of leadership from one of the league's most respected players. Of course, this doesn't mean Brady has gone all anti-Trump. However, it sure does mean that the two don't agree 100 percent on the issue of anthem protests.